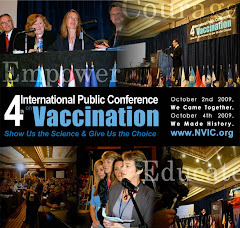 In June 2006, NVIC issued its first press release providing evidence that Merck's GARDASIL vaccine had not been thoroughly tested for safety and efficacy in young girls. 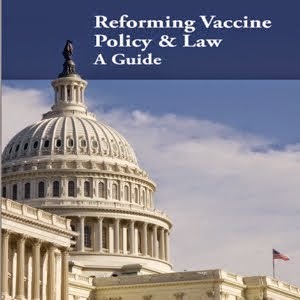 In February, NVIC released two detailed reports analyzing vaccine reaction reports filed with the federal Vaccine Adverse Events Reporting System (VAERS), which documented that many girls were suffering atypical collapse with seizure activity and subsequent brain dysfunction, including three cases of facial paralysis and five cases of Guillain Barre syndrome (http://www.nvic.org/Diseases/HPV/HPVHOME.htm). NVIC has led the opposition to HPV vaccine mandates based on product safety concerns that there is inadequate scientific proof the vaccine is safe and effective for 11 year old girls, who are being targeted by the CDC and Merck for mass use. And it just keeps getting worse and worse. Now three deaths have been reported, along with more reports of paralysis in girls who have gotten the poorly tested HPV vaccine. As usual, the vaccine maker and public health officials are in denial mode, using the unscientific "coincidence" argument in an attempt to cover- up HPV vaccine-related death and neuroimmune dysfunction. And, still, politicians in California, New York and other states press forward to get GARDASIL mandated even as politicians in many other states are wisely backing off from adding it to state vaccine mandates for school entry. For those who have watched industry and government cover-up harm caused by DPT, DTaP, MMR, HIB, hepatitis B, chicken pox, pneumococcal, influenza, anthrax and other vaccines during the past quarter century, the HPV vaccine risk cover-up is just another deja vu experience. Same story, different vaccine. When will it end? When will industry and government health officials, along with pediatricians and nurses injecting children with reactive vaccines, like GARDASIL, stop deluding themselves into believing the public is going to blindly trust and buy the "coincidence" argument forever? For more information about GARDASIL and HPV infection, go to www.nvic.org. If you or a loved one has experienced a reaction to GARDASIL vaccine or any other vaccine, you can post your story (and a photo) on the International Memorial for Vaccine Victims at www.vaccinememorial.org.